This one is about an hour from me, if I can be of any help. I was always thinking I could use one and make a trailer out of it, but that is a little pricy for a trailer for me. Looks like a good price for a solid Terraplane. I'm almost kinda-sorta tempted myself. But, I really do like leaning. You could build a frame adaptor for your bike that allows leaning and attach it to that Terraplane sidecar. It's relatively easy to do. 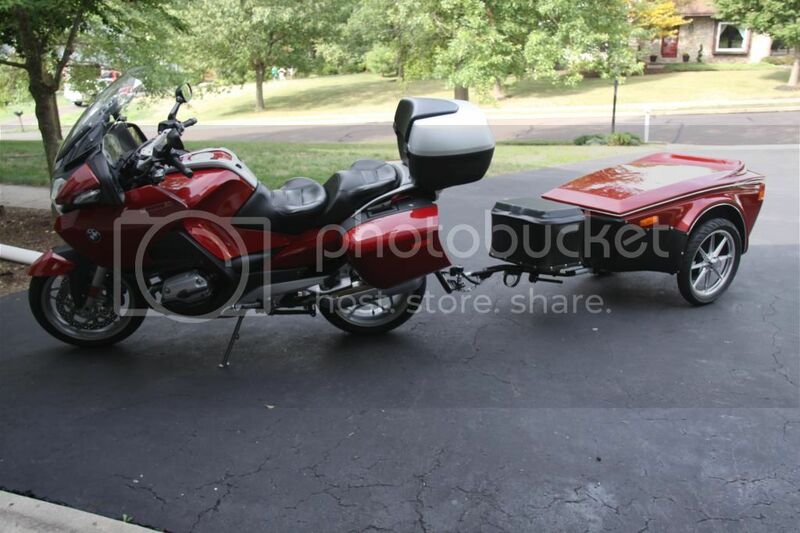 Some say it's easier than attaching a standard sidecar to a motorcycle. The trick is in the two mounting points. They are along the centre line of the bike with the front mount higher than the rear mount. This causes the sidecar wheel to toe in and toe out in turns. That removes steering torque on the forks so steering with the sidecar is the same as riding without a sidecar. You are still going to need practice so you get used to braking with all that extra weight hanging out there on the side of the bike. 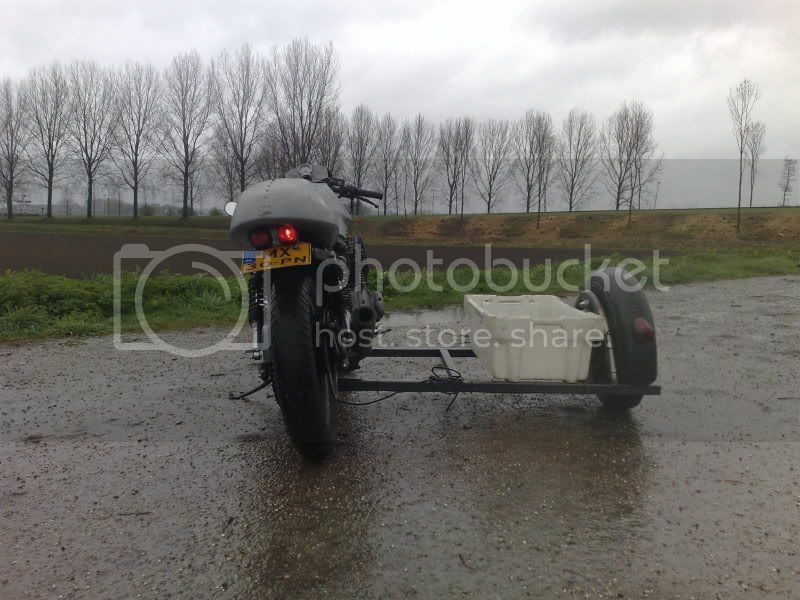 I'm including a link to a site that details building a leaning sidecar rig. Due to the low height of the Terraplane you would think it was a sidecar originally designed for a leaning setup. There was a company building leaning sidecar rigs. 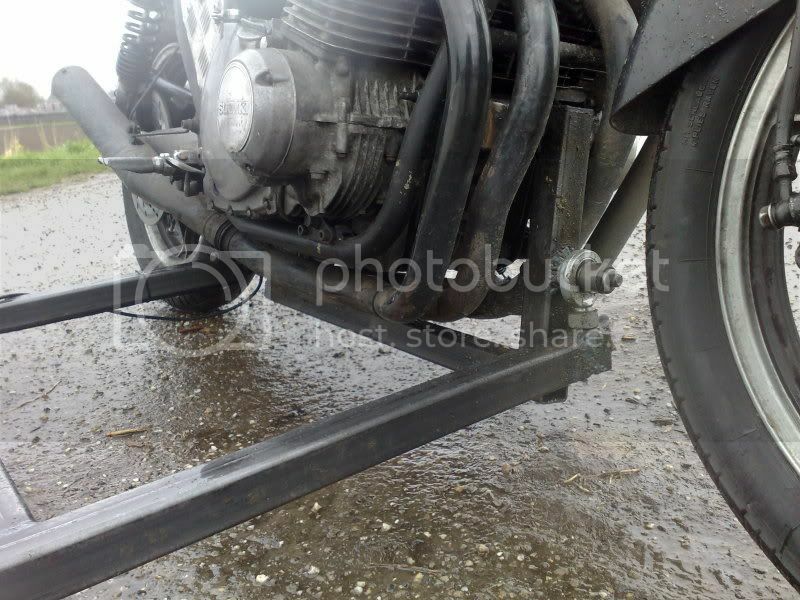 Some bikes like my Honda VLX 600 can't have a standard sidecar attached due to the extended fork rake design. That extended fork rake would cause too much steering torque and would make it near impossible to steer. A leaning sidecar setup would work perfectly fine with an extended fork rake. Weird, and it seems a trailer would be preferable. A sidecar is considered to be a part of the motorcycle. A trailer however is not and so it's subject to additional taxes,registration, titles, and inspections, the cost of which can be substantial in European countries. In other areas of the world it's illegal to pull a trailer with a motorcycle. Still, it looks wider than some cars. I might forget to stay to the far left all the time. That's a common problem with Trikes as well. You can't see the rear wheels so it's easy to forget how wide that Trike is. Those Dually Trucks have the same problem. Drivers forget about the extra width with those add on fender skirts to cover the two extra rear wheels. That's why you see Sidecars, Trikes, and Dually 1 ton Trucks with bashed fenders. 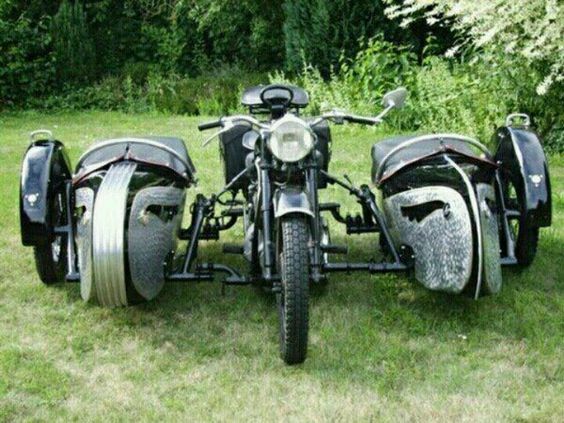 Now for everyone’s enjoyment we have a prime example of the ultimate expression of an excessive compulsive Sidecar Fanatic. Ah, yes, the bashed fenders. That happened to me shortly after purchasing my first dually. Someone invented Bumper Guides after bashing their rear fenders. They look sort of stupid but they do provide the driver with a visual reference to the rear width of the vehicle. I can see it now: that dual-sidecar bike getting hung over a dip with the rear wheel hanging in mid-air. Quite legal, and free, in Europe. Sidecars exist here because trailers are a foreign and strange concept to most riders. Off hand, I can think of no stranger or foreigner concept than bolting quarter of a ton of scrap iron to the side of my bike. The leaning chair, on the other hand, got my attention when I saw them in off-road comps, decades ago, and for a while there was a learner-legal small bolt-on leaner that side-stepped the capacity restrictions for learner riders in the UK. That was actually quite a handy little unit. Google Sidewinder Sidecars Learner Legal to see what I mean. .Google Sidewinder Sidecars Learner Legal to see what I mean. It's not unusual to see motorcycles pulling trailers here in the USA. Some Bikes come with trailer hitches. The Honda Goldwing sold here in the States is one of them. Optional trailer hitches can be purchased and installed on Bikes that don't come with them from the factory. Most if not all large touring bikes with owners that do long distance touring pull trailers here in the States. Some States require registration on the trailer and have special trailer tags that must be affixed to them. I'm in Alabama and many other State where trailers are designed to be pulled by a motorcycle don't require registration or tags. Several Motorcycle Trailer manufacturers came up with hitches other than the standard trailer ball hitches used on cars and trucks so owners don't need to register their trailers. Most of them now use the Bushtec hitch system. Some Bikers here will mount a standard ball type hitch and go ahead and register their trailers for one simple reason, they can hook their trailer up to a car if they need to do that. It's also no problem to build your own trailer and get then registered even in States where that's required. Here's a BMW with a Bushtec trailer. If, when I get too old and unsteady, I'll trike it (and still pull a trailer) rather than a chair, as I've never liked chairs much, the only advantage they have is stability on icy surfaces, and a trike is more than a match for them there anyway. Of course this is just personal opinion, and many die-hard side-hackers would argue it all day long, but I'm not keen add on an attachment that fundamentally upsets directional stability and handling in the way that it does.